What are you doing September 13, 2018? Well, if Connected Commerce is not on your radar, we’re about to fill you in on this can’t-miss event! Connected Commerce unites brands and retailers while bringing the brightest minds and the best of technology together. Join the Logicbroker team and our incredible sponsors in celebrating the future of digital commerce and learn how successful eCommerce projects really get done. The one-day summit will feature thought leadership around scaling digital commerce operations and delivering an exceptional customer experience. Learn the strategies to help tackle the Q4 peak while enjoying a day of premium speakers + sessions, networking, and fun! Brendan Miller from Forrester Research. Brendan’s research focuses on retail digital transformation, consumer insights, payments, and eCommerce trends in the age of the customer. Brendan’s topic, Digital is Reinventing the Rules of Retail Commerce, is sure to be an informative session you won’t want to miss. Philip Jackson, a luminary in the Magento community, has been developing ecommerce solutions since 1998. With over 15 years of experience creating unique online customer experiences, he has both built and managed Magento installations for some of the world’s most recognizable brands. Phillip is the organizer of the Magento SoFla Meetupand hosts the successful podcasts Magetalk, Future Commerce and Merchant to Merchant, with over 50,000 monthly listeners. Philip’s session will dive into how footwear brands are finding creative ways of solving challenges – from supply chain to authentication and counterfeit. Phil Guindi will be tackling the topic The Future of Commerce (V2) and since he’s been responsible for Ingram Micro Commerce & Fulfillment’s Shipwire Platform product roadmap for the past six years, we look forward to hearing his thoughts! Dan Bowman, Director of Business Operations for Sears Holdings Corporation, manages Fraud Prevention, Drop-Ship Vendor Ops & International Websites which lead him to the topic of Compliance without Performance Enablement is Just Cruel. Join Dan and learn the importance of performance enablement and how to align non-compliance fees with impact to both customers and your company. Beth Liguenza, Senior Director, Online Operations at Sears Holdings Corporation, brings her expertise to discuss How to grow your Online Business through Successful Partnerships. Through firsthand experience in overseeing Sear’s online operations, Beth expands upon the importance of choosing the right partner(s) to ensure your business can grow and continue on in the right direction. In addition, our amazing sponsors each have a session addressing key industry topics including Tax Compliance Done Right, The Importance of Automation and Personalization in your Campaigns, Making Genuine Customer Connections through UX Design, Evolution of Digital Commerce Fulfillment, and why not connect to more channels. Evaluating EDI providers? The Logicbroker team will be holding informative sessions around Digital Commerce EDI Fundamentals and Best Practices, Top 10 Tips for Using the Logicbroker Platform and How to make your Order Management System EDI-Ready. Meet with executives focused on leading their organization’s digital commerce strategy. We will have opportunities for networking during breakfast, lunch, afternoon breaks, and our premium cocktail reception. Companies represented by confirmed attendees include Kroger, Fossil, Sears, Mars (M&M’s), Rite Aid and more! 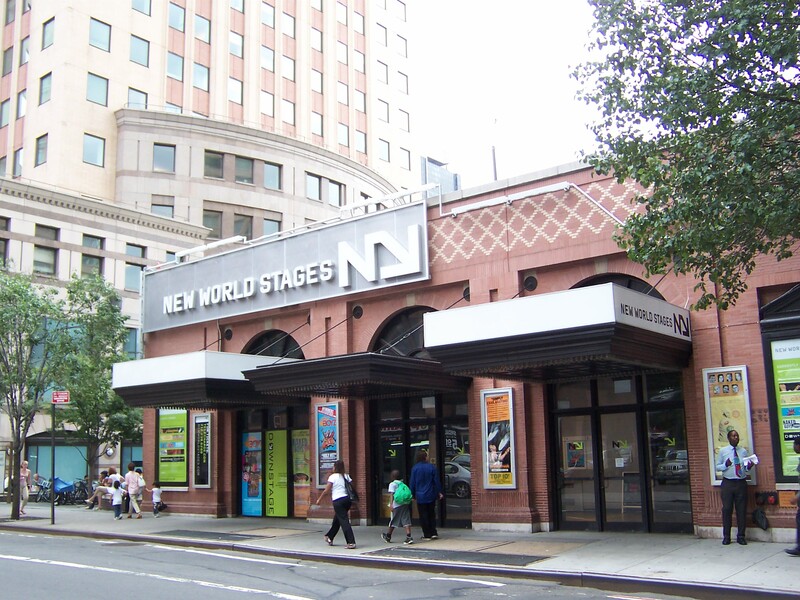 New World Stages is a modern, trendy venue that reflects the theme of digital commerce and is the perfect setting to bring together the industry’s top brands, retailers, and solution providers. NWS is also home to award-winning, Off-Broadway productions of Avenue-Q, Jersey Boys, and more! With the smaller, intimate theatres we have selected for sessions, we guarantee there is not a bad seat in the house. All attendees will receive a fancy backpack, water bottle and infamous Logicbroker gear t-shirt. We will be raffling off some amazing prizes too, which we will be announcing soon. Stay tuned! We’ve partnered up with Indiana Market & Catering to deliver delicious, high quality food to keep attendees fueled for a day of learning and networking. And, after the last sessions, Connected Commerce concludes with an exceptional two-hour open bar reception. This is a great opportunity for attendees to unwind and recap a successful day, and catch up with new connections. Care to make it a weekend? In the Big Apple, there is always plenty to do! Catch a show, sight-see, or do a little shopping. As a special exclusive, Logicbroker has chartered a private yacht for a Friday morning brunch cruise. The boat has limited seating, and is invite-only. Join the Retail Renaissance and discover techniques to scale your operation and make your organization’s systems more reliable and processes more repeatable. For more information, visit connecredcommerce.io. We look forward to seeing you in September!